Pryda’s uber talented protégé Fehrplay has released his remix to Lemaitre’s “Continuum” first heard on his EPIC Radio takeover alongside label pal Jeremy Olander. Even though the track is deep by nature, the Norwegian adds a little optimism to the dark rhythm through delicate synths fused into a hypnotizing vocal play. It will have you falling in love with his unique techno-infused sound just like his previous “Monte” and “Talk to Me” releases. 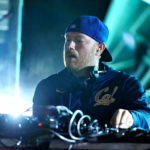 Check out the dates to see him live with the Pryda friends crew here.